Angela Angela’s journey to farming and working within food security began at Brock University in Niagara Falls where she earned a degree in Environmental Policy and Sociology. It was here that Angela was first introduced to Permaculture and Sustainable Agriculture. 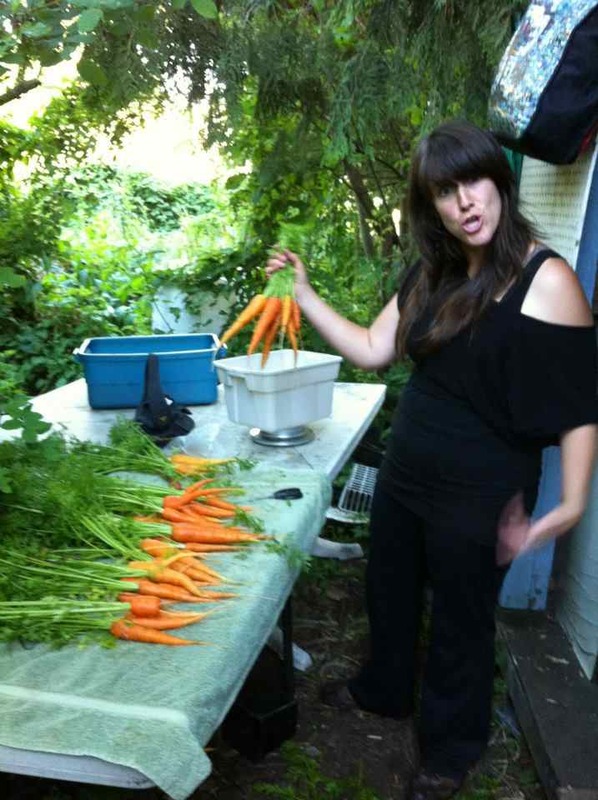 What she craved upon graduation was a chance to get some practical experience in organic food production; which led her on a three year Wwoofing adventure through Canada, the United Kingdom, Costa Rica and Panama. In 2005, Angela was accepted into the Linnaea Ecological Gardening Program at Linnaea Farm on Cortes Island. It was at Linnaea that Angela became attuned to the complexities of our globalized food system and issues surrounding food justice. 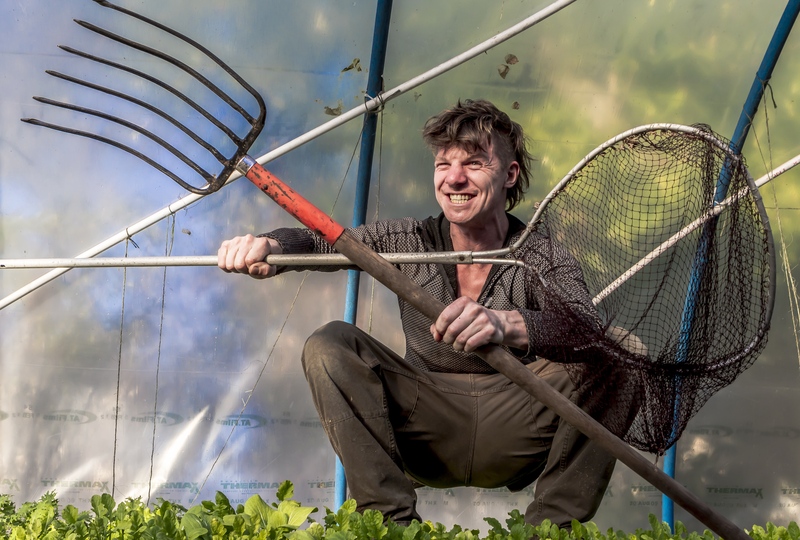 Gaining the core skills to become a farmer, Angela arrived in Victoria upon graduation ready to seriously invest some time into urban agriculture. In 2006, Angela took over the lease of The Mason Street City Farm where she grows organic veggies and raises chickens in Northpark neighbourhood for local families and restaurants. She is a mother, a farmer, and a flamenco dancer and most days you will find her and her daughter stomping and clapping with the vegetables! Following in the gum boot steps of Ma and Grandpa, Jess likes to get his hands dirty. It all started with picking cherry tomatoes with Mom in her veggie garden 28 years ago. Over the past 10 years Jess has sought to learn and expand on the lessons passed down from generations before. This awakening lead Jesse to abundant fertile lands. In 2012 he was accepted into the 8 month Skill Builder Program at the Bullocks homestead on Orcas island. Here Jesse gained a deeper reverence for the interconnected and self managing structures of nature. Jesse seeks to integrate these lessons towards evolving the systems humans require to thrive. He feels it is an endeavor for many hands and many minds. Jesse is now realizing his dream of co-stewarding an innovative community urban farm project in the heart of Victoria BC.